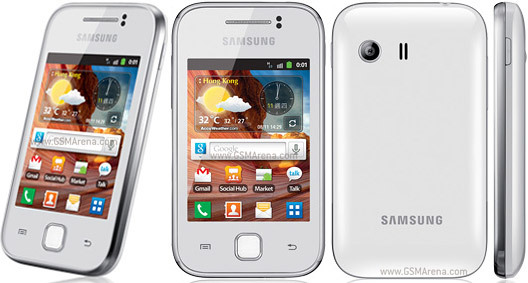 The Samsung Galaxy Y S5360 is a smart and easy to use device announced in August 2011 and released the same year. Its powerful performance is combined with a stylish and compact design and an attractive range of features. As nice as it may sound, this phone can cause you a lot of dissatisfactions should it freeze, catch viruses or get stuck in some applications. However, you do not have to despair, as you can always hard reset your Galaxy Y S5360 to factory soft. Just read the following guide to find out the exact steps to get your device up and running in no time. The Y S5360 has an Android OS, v2.3.5 (Gingerbread) operating system and a fast 830 MHz ARMv6 processor. Its rapid download speeds of up to 7.2Mbps, the attractively compact, smooth user navigation, 2 MP primary camera of 1600 x 1200 pixels and 180 MB memory (290 MB of RAM) make this phone a popular device meant to make anyone’s life easier. However, it can fail its purpose when it starts working at a slower rate. Nonetheless, with a simple method called a master reset, all your worries or problems can go away in the fastest possible time. The first option of hard resetting your phone is via its software menu. Turn on the device and make sure you backup all the important data. Go to the Settings menu and click on the Privacy option. Click „erase” and wait for the phone to reboot.